Montana’s political seismograph didn’t rattle much last Tuesday when its neighbor to the north underwent a governmental earthquake. But that could change in the coming weeks, as the citizens of Alberta absorb the magnitude of their replacement of Canada’s longest-standing political party rulers with a left-wing opposition pledged to look hard at its energy economy. 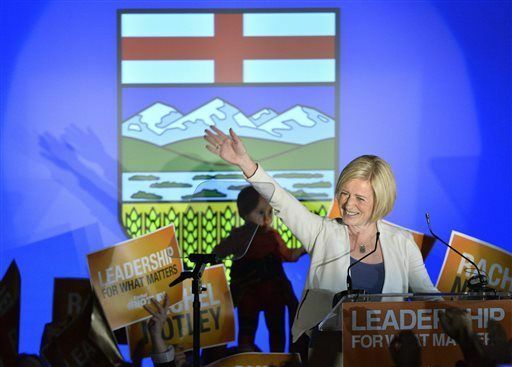 The New Democratic Party took 53 seats in the Alberta Parliament in Tuesday’s election. Another traditional minority group, the Wildrose Party, surprisingly found itself in second place with 21 seats. The Progressive Conservatives held onto just 10 seats. NDP party leader Rachel Notley was credited for a remarkable political ground game that unseated Progressive Conservative Party leader Jim Prentice – a man widely considered a future leader of all Canada. Prentice resigned from his post on election night and said he was at least temporarily leaving politics. Alberta’s entire United States border runs along Montana, from the western edge of Waterton-Glacier International Peace Park to the 110th Meridian north of Havre. The province and state share the spine of the Rocky Mountains and the beginnings of the great mid-continental prairies. They also share a relatively recent surge in energy development. Over the past decade while Montana has exploited its Bakken oil and gas fields along the border with North Dakota, Alberta has been opening massive production in tar sands petroleum near Fort McMurray. Oil from the tar sands has become both a political and social controversy. New Democratic Party officials have questioned the need for the Keystone XL pipeline that would run south from Alberta, through a corner of Montana and down to refineries in Oklahoma and Texas. The Obama administration has stalled permitting of the international border crossing, while Montana’s bipartisan congressional delegation has supported it. Moving petroleum by rail has become an issue in both Canada and the United States, signposted most recently by last week’s explosion of a group of oil tank cars near Heimdal, North Dakota. Caryn Miske of the Flathead Basin Commission said the prospect of moving more oil trains along the southern border of Glacier National Park is under close scrutiny. Burlington Northern Santa Fe has a freight line that runs out of Alberta into Montana at Sweet Grass, although there’s not much cross-border oil traffic there yet. Delaney said another factor of the government change could be the NDP’s campaign pledge to revamp the province’s tax structure on energy development. Much of the province’s energy economy has extremely expensive initial start-up costs. Energy analysts have already been forecasting a drop in Albertan oil production as new projects slip below their break-even points with falling oil prices. Delaney said that could have an impact on Montana’s economy, as the demand for megaloads of oil field equipment transported across the state stalls. Longtime conservation activist Stephen Legault said the provincial government’s failure to manage its oil wealth led to great voter frustration. The result has been a government unable to fix damage from the floods that ravaged Calgary in 2013, or even to send land management officials to cross-border conferences in Montana. While the new government has majority control of Alberta’s Parliament, its influence over the provincial agencies could be a murkier matter. Those departments have had decades of one-party control appointing their directors and staffs. What we are seeing now is improvement, suggesting a recovery within the longer term downtrend … I’m short-term bullish on Brent,” Roelof van den Akker, a chartist at ING Wholesale Banking, told CNBC earlier today. 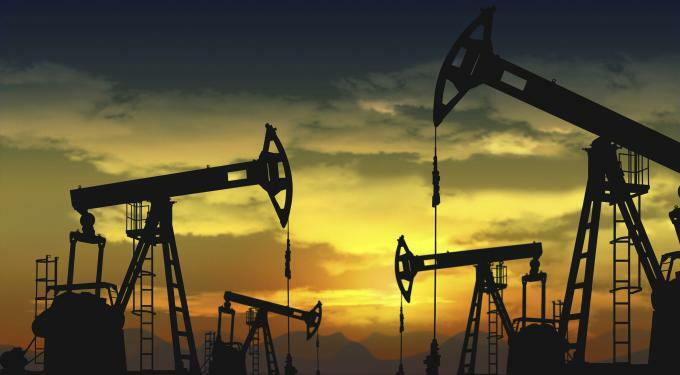 Van den Akker is predicting that the oil price could jump $20 / barrel in the near future. He is not the only one who is thinking that the oil price is set to rebound. The Financial Times is reporting that hedge funds are also placing some of their “largest ever bets on a rally in oil prices”. Part of what this “hunkering down” might look like was outlined by one industry executive on Wednesday. The executive, Rob Fulks, a marketing director at fracking company Weatherford, predicted that half of the 41 fracking companies operating in the U.S “will be dead or sold” by the end of this year due to slashed spending by oil companies caused by the oil price plunge. Fulks, whose company is the fifth largest fracker in the US, was speaking at an industry conference in Houston on Wednesday. He predicted there could be as little as 20 fracking companies left by the year end, compared to the 41 there are currently and 61 there were at the beginning of last year. The cuts are part of the $100 billion the industry has cut in spending globally after prices have plummeted. As far as his own company is concerned, Fulks said that Weatherford was making “dramatic” cuts to expenditure. Many in the industry, like Fulks, will be hoping that the hedge funds are right and that the oil price rebounds sooner rather than later. But whether it happens before more fracking companies go bust or are taken over, remains to be seen.